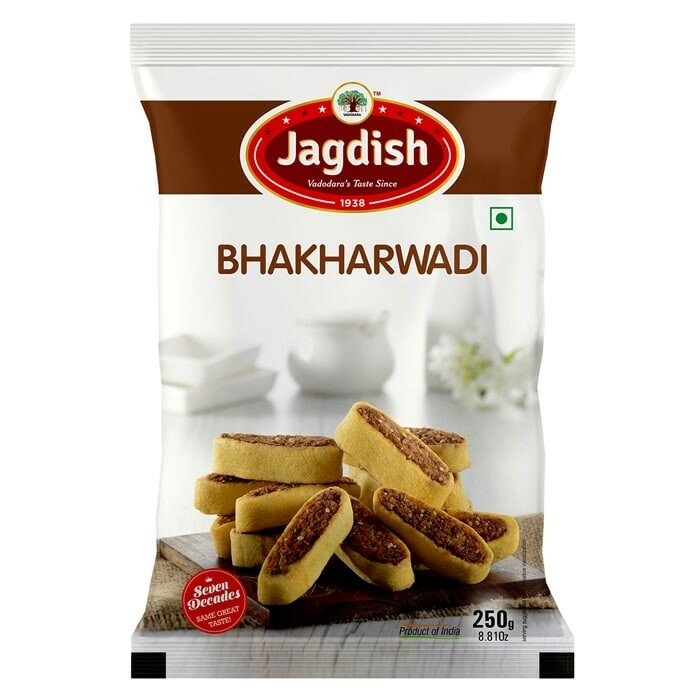 Buy Bhakharwadi of Jagdish Farshan from Vadodara online | Authentic Indian Sweet , Savories and Delicacies from the place they originate by Moipot. 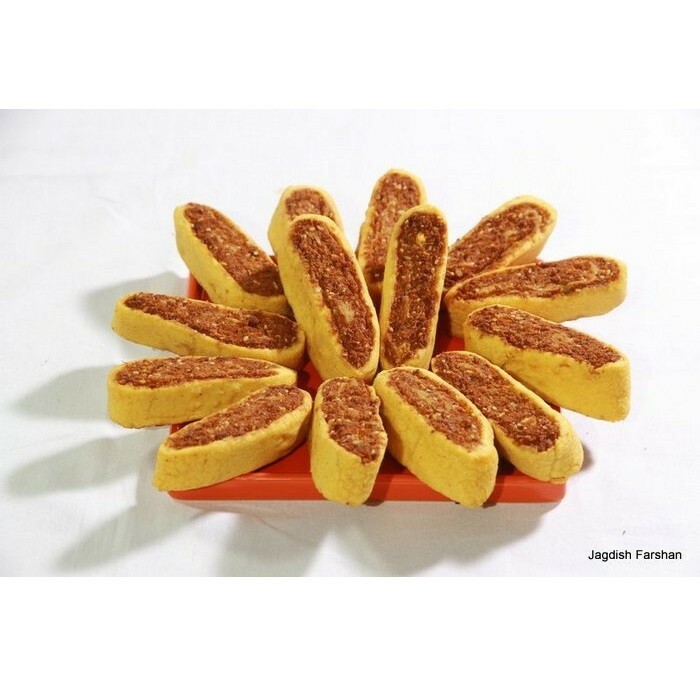 Although Gujarat is famous for handvo, thepla and so on…the Gujarati snacks especially Bhakarwadi are cherished equally! 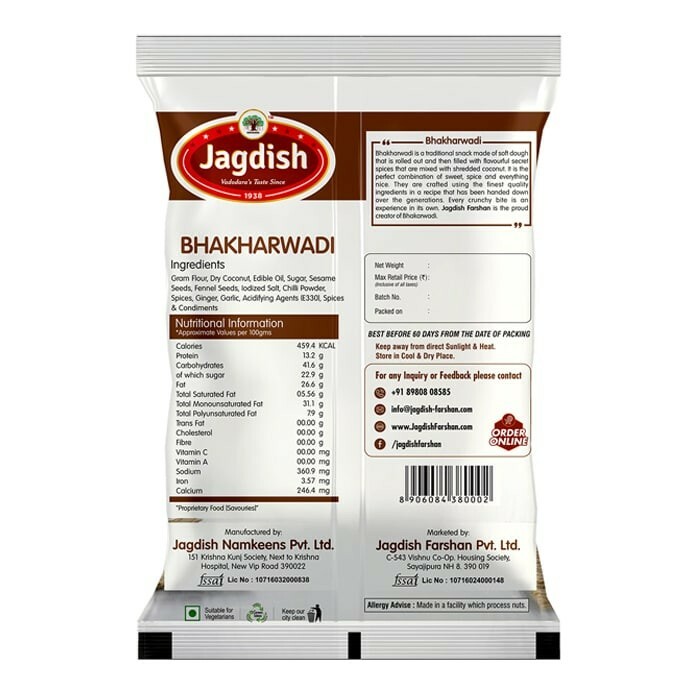 A flavorsome mixture of coconut, aromatic seeds and spices will keep you wanting more. Once you taste this slightly sweet, slightly tangy namkeen, there is no going back. It’s that delicious!